After reading previous Copyright and Your Band posts, you’ve learned all about song ownership, recordings, and who gets paid for public performances. But where do sites like YouTube fit in? Syncing music to visuals adds a layer of complexity: if you want to sync up someone else’s song to images/video, you need a special license called a sync license. And if you want to use an existing recording, you will need permission from both the owner of the recording and of the song. So how did countless throngs of amateur videographers create nearly 5 million YouTube videos featuring Psy’s hit song “Gangnam Style”? And more importantly, did Psy get any money from the videos? Let’s talk about how to use someone else’s music in your video – and what you can do if someone uses yours. Note: If you want to use someone else’s recording of a song in your video, you will also need to contact the owner of the recording (most likely a record company or the artist who recorded it), and request a master license. Very few YouTube users (or any other video posting site) go through the rigors of sync and master use licensing – so what can you do when someone rips your best single and syncs it to a video of their cat? YouTube provides a lot of tools for copyright owners to monitor, protect, and monetize their content. 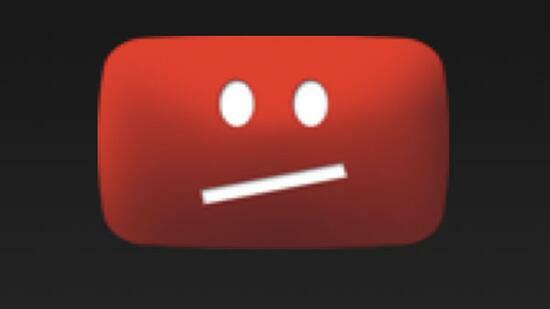 YouTube’s solution for detecting infringing videos is its content ID system. This system allows copyright owners like you to identify videos that contain your copyrighted music and visuals. Once identified, you can track, block, or monetize the infringing videos. In the YouTube Copyright Center, there are a variety of links to help you and your band manage your copyrighted music. They also have some amusing Muppet-inspired videos to help explain copyright. Track the viewers. YouTube lets you track who has watched the infringing video. This data can help you sell merchandise, tickets, recordings, or raise money for your next album. Maybe you have an unknown fan club in some other part of the country (or the world)! Information is power, and tracking views can help you get to know your audience better. Take it down. If someone puts your recording on YouTube without your permission, you can request that YouTube take it offline or remove the soundtrack. The Digital Millenium Copyright Act forces companies like YouTube to promptly remove infringing content when notified by copyright owners, which means the video will be removed quickly (no questions asked), and the infringer is notified to contact you if he or she thinks the takedown notice was unwarranted. Monetize! If you want money from YouTube videos featuring your music, you can monetize the video by instructing YouTube to include advertisements. If you choose this option, you will be sent money for each view. Keep in mind that many people will skip the video if the ads are too long, so don’t get greedy by requesting a two-minute ad for a 15-second video – if people don’t watch, you don’t get paid! Monetizing videos or simply tracking views can sometimes be a better solution than taking down all videos that include your music. Videos and songs that go viral are often helped along by a lot of amateur copycats, and the more people who hear your music, the greater your potential pool of buyers for your next recording or concert. You won’t get recognition until people hear your music, so as long as you get credit it may be worth giving up some control in favor of more exposure. In the case of Psy and “Gangnam Style,” it’s obvious that the vast majority of YouTube users who uploaded videos featuring his song did not acquire a sync license. Instead, Psy receives money for each view and benefits from the exposure of the viral craze, resulting in a boost to other sources of revenue such as paying gigs. Ultimately, it’s up to you to decide what kind of action to take if your music is being used in an unauthorized video. Regardless of what you choose, the most important thing is to be aware of the process and the options available to you so that you can make smart decisions for your music career. Jamie Davis-Ponce is a professional musician and graduate of Northeastern University's Master of Music Industry Leadership program with a concentration in entrepreneurship. She has been a music lecturer at Ithaca College, and is deeply involved in Boston-area arts and music organizations, having worked with ArtsBoston and held internships at Handel & Haydn Society and Boston Symphony Orchestra. Jamie is currently an administrator in the Professional Performance Division at Berklee College of Music. You can view more of her writing on her blog on Music, Business, and Creativity.